Carbon fiber is used in the construction of strong, lightweight vehicle components. 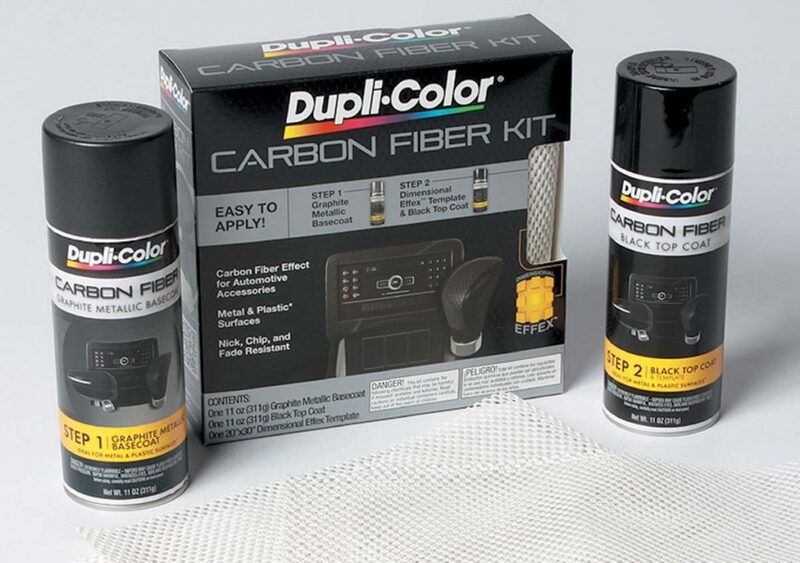 It has also turned into a fashionable way to dress up a vehicle and that’s where Dupli-Color Carbon Fiber Kit comes in. The company’s two-step spray-on paint process consists of a base coat of graphite metallic followed by a patented finishing coat called Dimensional Effex. The result is the three-dimensional raised look of carbon fiber, with a glossy finish. The kit works on both metal and plastic surfaces, but for the latter Dupli-Color recommends you apply the special adhesion promoter. The kit can be purchased at most auto-parts and department stores for about $25. Visit www.duplicolor.com for details. The end of dead batteries?